Neighbourhoods in Toronto have radically changed over the past 20 years. Immigration has brought greater cultural diversity, with over 50% of Toronto’s population born outside Canada. The 2016 Toronto Vital Signs research reports, “income inequality is rising twice as fast in Toronto compared to the rest of Canada”. Someone described Toronto as facing a “Silver Tsunami”: the aging of its population. If the Church is going to effectively serve its community then it will need to get to know its neighbourhood. UReachToronto is here to provide information and tools to help you and your church map your community.You might want to begin with the Community Opportunity Scan which will help your church develop an over strategy for getting to know your neighbourhood. For a detailed analysis of your community go to the Toronto Neighbourhood Web Tool and enter your address. 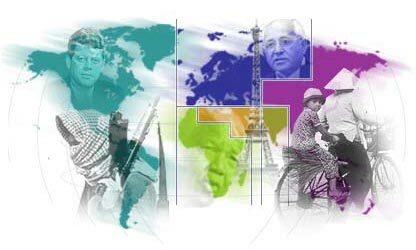 Learn about the cultural background of new immigrants in your neighbourhood by going to Cultural Communities. When you know the needs of your community you might want to scan the many resource available under City Services. One resource we would highly recommend is John Fuder’s book, “Neighbourhood Mapping” available from Amazon here. Furthermore, check out his “10 tips to exegete a culture”. UReachToronto is a comprehensive resource centre connecting people with one another to collectively develop strategic vision & learn skills necessary to impact our multicultural communities. As there are an abundance of resource websites available, we have collectively gathered specific services geared to impact these multicultural communities. Neighbourhood maps, ward maps, newcomer services, and regional services maps can be found, in addition to links to other websites and resources. Diaconal Ministries have developed the Community Opportunity Scan to help growing churches build relationships with, and for the communities they are planted in. It will not only identify needs, it will also affirm the unique gifts and assets in the community and in the church. Toronto is one of the most diverse cities in the world. There are almost 200 nation states in the world today and most of them are represented in the Greater Toronto Area. (GTA). So far we have developed over one hundred country profiles. Each of our cultural community includes references and links to other resources on that particular community, in regards to Toronto. Links to local churches, social services, and other cultural resources are included. We encourage you to explore the diverse people groups that are living in Toronto. This web tool developed by the City of Toronto displays information on Toronto neighbourhoods and wards. 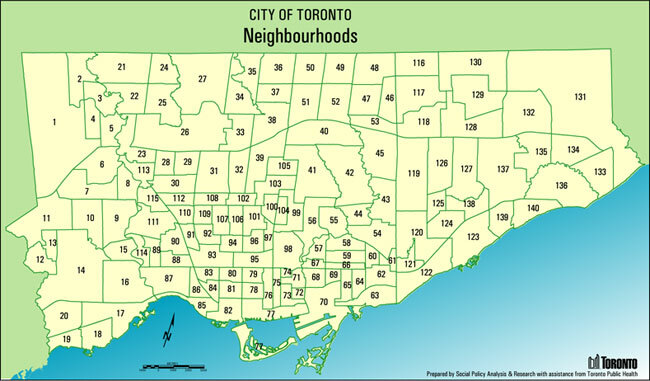 Type in any address, postal code, or place name to see demographics and social profiles of the neighbourhood or ward it belongs to or visit Wellbeing Toronto to search and access statistical data on the GTA. Above is a map of Toronto’s neighbourhoods developed by the City of Toronto.